Sean Price—one half of seminal hip-hop group Heltah Skeltah and one of hip-hop’s most respected lyricists—unexpectedly passed away early this morning at his family’s apartment in Brooklyn. While the complete causes of death are still unknown, a press report from Price’s representative reports that Price died in his sleep. Price is survived by his wife and three children. He was 43 years old. Sean Price was born and died in the same city he called home for his entire life: the Brownsville section of Brooklyn. While Price spent a portion of his youth as a local street hustler, selling drugs out of town, he had a love of hip-hop and ’70s and ’80s pop culture—especially lumbering giants like the Incredible Hulk, Solomon Grundy, and Chewbacca—that would eventually manifest in his music. Originally known as Ruckus, Price would debut in 1995 with his partner-in-crime, Rock, as Heltah Skeltah, appearing on several tracks on Smif-N-Wessun’s first album, Dah Shinin’. Heltah Skeltah would later drop their debut cult classic, Nocturnal, which featured some of ’90s underground hip-hop’s most memorable tracks including “Therapy,” “Operation Lockdown,” and the posse cut "Leflaur Leflah Eshkoshka." As Heltah Skeltah, Ruck and Rock were also part of the ’90s rap super group Boot Camp Clik, a collection of feared and respected Brooklyn lyricists that included the groups Black Moon, Smif-N-Wessun, and O.G.C. Housed on BCC founder Buckshot and underground rap mogul Dru-Ha’s Duck Down Records, Boot Camp Clik remain to this day one of the most celebrated hip-hop collectives in hip-history, rivaling fellow ’90s New York City super groups Wu-Tang Clan and the Diggin’ in the Crates Crew in respect and admiration. 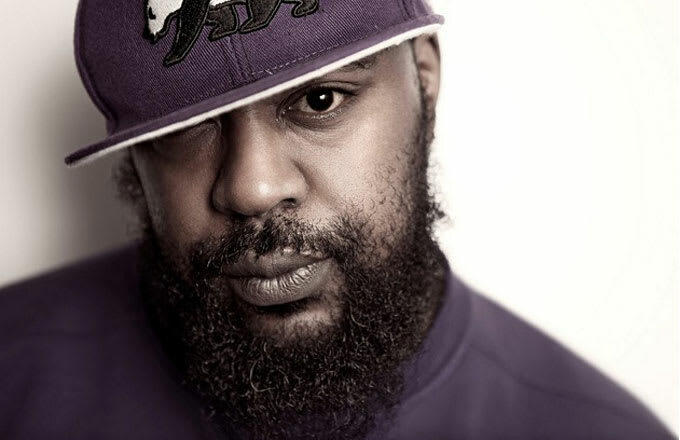 Upon going solo, Ruck would officially adopt his birth name, Sean Price, as his nom de plume for the rest of his career. After Heltah Skeltah went on-hiatus in the late 1990s, the release of 2005’s Monkey Barz cemented Price’s reputation as one of underground hip-hop’s most respected artists, showcasing a punchline-heavy rap style that was as hilarious as it was fierce. Despite dubbing himself “The Brokest Rapper You Know,” Price would go on to carve out a comfortable and rewarding career for himself—a working-class rapper with one of the most respected pens in the game—releasing several well-received solo and group projects including 2007’s Jesus Price Superstar, 2012’s Mic Tyson, and 2011’s collaborative Random Axe with Detroit rappers Guilty Simpson and Black Milk as the titular group. It is a bitter irony that in a week where ghostwriting allegations, lobbied at arguably rap’s most transcendent star, left the hip-hop community soul-searching, that Sean Price, a consummate writer if there ever was one, would leave us behind. Price was never a mainstream star but took tremendous pride in his craft. A fiercely witty lyricist, P&apos;s music was infused with hilarious pop-culture reference punchlines and street storytelling that earned him the respect of mostly everyone in the rap community. Sean Price—a rapper’s rapper—passing away at a critical crossroads for the culture serves to remind us that while writing your rhymes isn’t everything, quite often the best lyricism comes from within. More important than being truly respected for his art, Sean Price was a beloved family man and friend to many within hip-hop. The outpouring of grief that the hip-hop community expressed this morning upon the news of Sean’s passing showed how many other artists were personally touched by Sean in their lifetimes. Sean was a warm and naturally funny man when we spoke, joking about his career, the holidays, video games, and even his wife and kids. I became a bigger fan of Sean Price the person than I ever was of Sean Price the artist after our conversation. Great humans are often in short supply in the music industry, and Price was definitely one of them. Complex Music would like to offer our sincerest and most heartfelt condolences to Sean’s wife and three children. Rest in peace, Ruck. B.J. Steiner is a writer living in New York. Follow him @DocZeus.